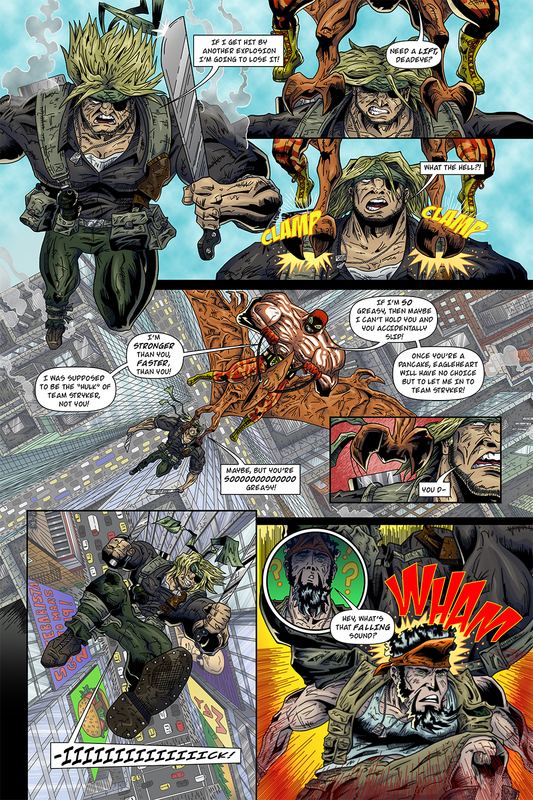 A new page of Team Stryker has arrived! It feels like FOREVER since I’ve had a completed page to share and for that I’m really sorry. I wanted to get all the pencils completed so now I can focus all my attention inking and coloring all the remaining pages in the hopes to have the issue completed for the Calgary Expo in April. This should result in newer pages coming out at a much faster rate now. This current page was a massive undertaking as it has not one, but TWO overhead shots of New York and I really wanted to try and make it feel like Deadeye was several hundred feet up in the air. I love trying new things with Team Stryker and especially new things that scare me as an artist. Luckily, Team Stryker is the perfect medium for experimentation. I already have page 16 completed so there will be a new page of Team Stryker for you next week so check back soon! You can see all the Team Stryker updates on Facebook, Twitter and Instagram @TSComic.